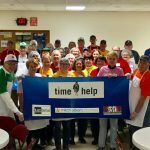 (Motown Soup)ing Up Meals at S.A.Y. Play! 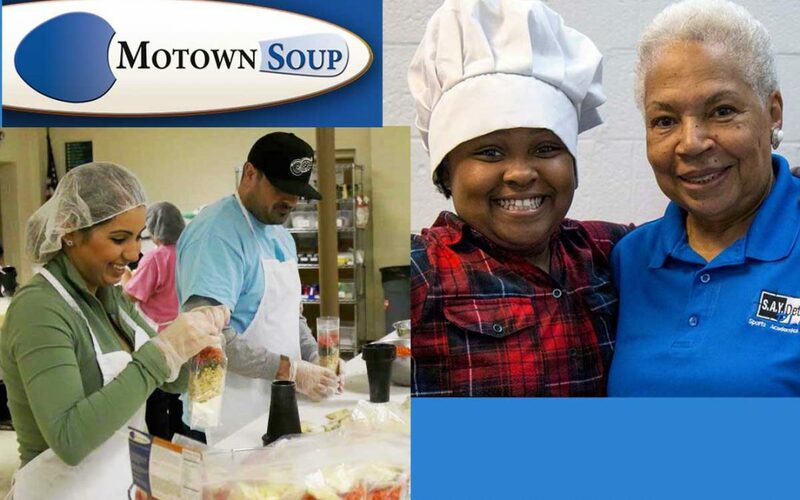 S.A.Y. Detroit is thrilled to receive a $2,000 grant from Motown Soup in support of our meal service at the S.A.Y. Play Center at Lipke Park. Based in Utica, Motown Soup produces dry soup mixes and other goods, then markets them, giving away all of the profits. 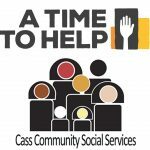 The nonprofit has been sharing proceeds for the past 13 years with fellow charities who operate homeless shelters, soup kitchens and free clinics. This year’s distribution brings the total to over $900,000. S.A.Y. Play feeds its members one hot meal a day, plus snacks, for free. Motown Soup is no stranger to S.A.Y. Detroit. 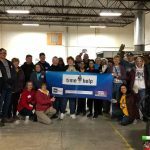 Our volunteer program, A Time to Help, worked alongside Motown Soup volunteers at a project packaging soups this past January.